Margaret V. (Sorgi) Hanley, of Norwell, formerly of Braintree passed away peacefully on January 13, 2019, at the age of 94. Margaret, known affectionately as Peggy, was the daughter of the late Salvatore and Margaret (Russo) Sorgi, originally of Sicily. Beloved wife of 59 years to the late Joseph P. Hanley. She is predeceased by her eldest daughter, Ciara Joanne Hanley. She is survived by her daughter Susan Miller and her partner Oscar Margaca of Braintree, son Richard Hanley and wife Mary of Abington, daughter Catherine Clark and husband Buddy of Marshfield, five grandchildren, and three great-grandchildren. Peggy was born and raised in Boston. She married Joe in 1949. They moved from Dorchester to Braintree in 1954, where they raised their family. She deeply loved her family, and spent much of her life taking care of others. She and Joe enjoyed dancing, card games with friends, traveling, and golfing. Peggy was always an avid reader and enjoyed doing crosswords. 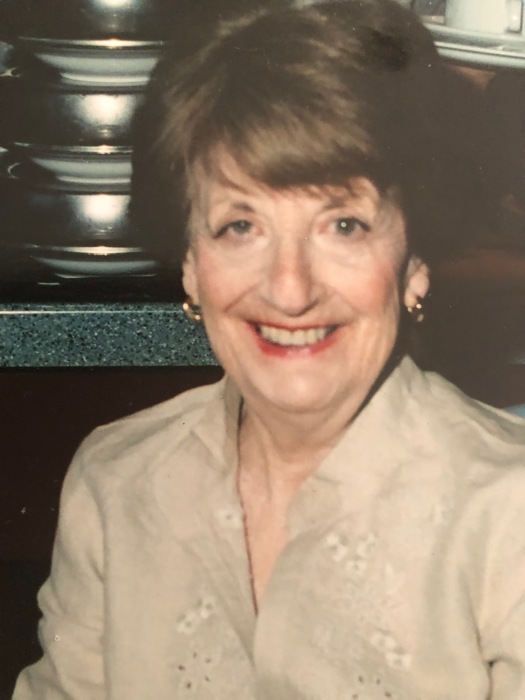 Her memorial service will be held privately on Sunday, January 20, 2019, at the Peck Funeral Home in Braintree. She will be buried next to her late husband at the Massachusetts National Cemetery in Bourne.